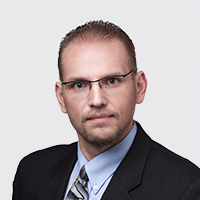 Jeremiah Brasher has been involved in the California workers’ compensation system since 2006. He started as an applicant’s attorney at a prominent Sacramento firm and then was hired by Mullen and Filippi’s Stockton office as an Associate on 12/10/2007. He became an Associate Partner in October of 2015. He represents employers large and small, along with third-party administrators and insurance carriers. Jeremiah also represents employers with respect to allegations of serious and willful misconduct and unlawful discrimination pursuant to Labor Code Section 132(a). Jeremiah attended law school at Lincoln Law School of Sacramento. There, he received American Jurisprudence Awards in Contracts and Intellectual Property, and was also a recipient of the Outstanding Graduate Award. He received his J.D. in 2004. He attended American River College from 1996 to 1999, and graduated with an Associate of Science degree in Mathematics and Physical Science. Thereafter, he attended California State University, Sacramento and studied Computer Engineering before being accepted into law school. Jeremiah is a member of the State Bar of California, and is the Organizational Liaison for Professionals In Workers' Compensation, Mid Valley Chapter. I grew up watching court room dramas like Law & Order and L.A. Law and reading books like The Rainmaker. It turns out that this business couldn’t be more different from those examples. However, just as in those examples, we get the opportunity to zealously and tirelessly advocate for our clients, and that is what I want to do. If I weren’t an attorney, I would probably be an archaeologist. I love to watch shows about and read about Ancient Egypt. I have three sons, including a set of twins, and a wonderful wife. My weekends are spent chasing the babies and finding a place to play in the mud in my 4x4.